The WoodWick® brand was created with 12 true-to-life fragrances in 2006. 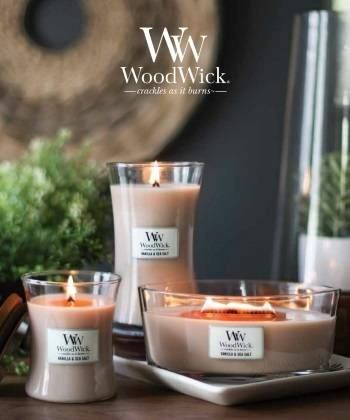 Since its beginning as the natural wooden wick candle, WoodWick® has created multi-sensory experiences that add a personal, elegant finish to your home. Specialty and Limited Edition collections, pairing the best-selling WoodWick® fragrances with unique, modern vessel designs were later introduced. The Trilogy collection joined the WoodWick® family of products featuring three distinct layers of fragrances and colour. 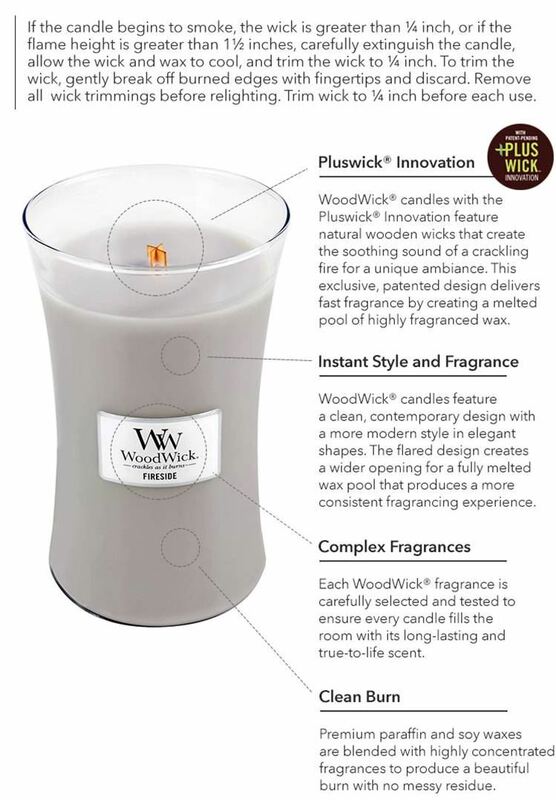 In 2011 the patented Pluswick wooden wick design was introduced for a soothing crackle, fast fragrances and a better burn. The WoodWick® brand was then expanded with Hearthwick® Flame, another exclusive wooden wick design delivering a soothing crackle and long, dancing flame. WoodWick® continually focuses on innovation and indulges your senses with stylish products that combine carefully chosen raw materials and refined craftsmanship. In 2017 WoodWick Candles joined the Yankee Candle family thus enabling further investment in new fragrances and styles. 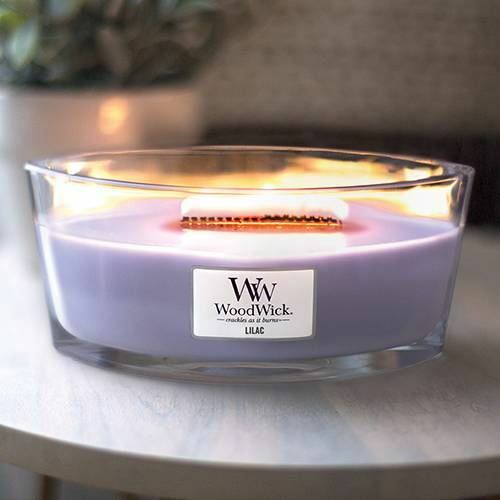 WoodWick® candles feature a natural wooden wick that creates the soothing sound of a crackling fire for a unique ambience, while fragrancing your home with authentic, true-to-life scents. 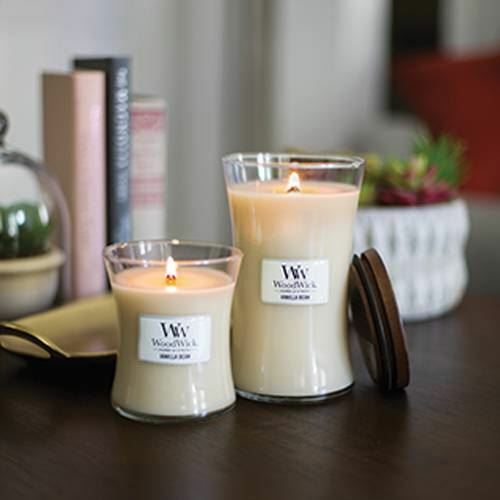 WoodWick® candles feature a clean, contemporary design with modern style and elegant shapes. The flared designs create a wide burn pool for a strong, consistent fragrancing experience. Every WoodWick® candle features complex fragrances which are carefully selected and tested to help fill the room with authentic, true-to-life scents. Paraffin and soy waxes are blended to produce a slow and beautiful burn. WoodWick® offers both core and seasonal fragrances, alongside Speciality and Limited Edition Collections, to enchant and delight your senses. Various elegant forms with unique wooden wick technologies are available to choose from. The Pluswick® Innovation creates a beautiful, even burn while fragrancing your home with the soft, soothing sound of a crackling fire! Featured in the Hourglass Jars and Petite Candles. The soothing crackle and long, dancing flame of WoodWick® with Hearthwick® Flame allows you to relive fond memories or create new ones in a warm, comfortable atmosphere. The iconic hourglass-shaped candles fill your home with the soft crackle and inviting scents of WoodWick®. The candles feature a clean, contemporary design with an elegant shape. Available in Mini, Medium and Large Jars. The ellipse-shaped candles with Hearthwick® Flame feature a natural wooden wick that creates the soothing sound of a crackling fire. The exclusive design creates a long, dancing flame for a unique fireplace ambience in any room. Perfect for gifting! Perfect for candlescaping, the Petite Candles also feature a wooden wick and create a calming, beautiful ambience for any gathering. Fragrance any room quickly with the Wax Melts.